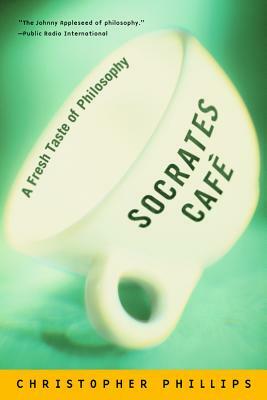 Join us on the first Tuesday of every month at 5:30 pm for Socrates Café at the Peregrine! All ages welcome! Author, teacher, and advocate, Andrew Winters, Ph.D. is Associate Professor of Philosophy and Director of the Philosophy and Religious Studies Program at Yavapai College. He has taught philosophy for over 15 years. He's worked with numerous public outreach programs with youth and adults to better assist them understand how the examined life is one worth living. Christopher Phillips is a man on a mission: to revive the love of questions that Socrates inspired long ago in ancient Athens. "Like a Johnny Appleseed with a master's degree, Phillips has gallivanted back and forth across America, to cafes and coffee shops, senior centers, assisted-living complexes, prisons, libraries, day-care centers, elementary and high schools, and churches, forming lasting communities of inquiry" (Utne Reader). Phillips not only presents the fundamentals of philosophical thought in this "charming, Philosophy for Dummies-type guide" (USA Today); he also recalls what led him to start his itinerant program and re-creates some of the most invigorating sessions, which come to reveal sometimes surprising, often profound reflections on the meaning of love, friendship, work, growing old, and others among Life's Big Questions.